Post an Image: Let people know anywhere from 30 minutes prior to a few minutes before you go live. You can do that most effectively by posting an Image stating when you will be going live and also include what your topic will be about. 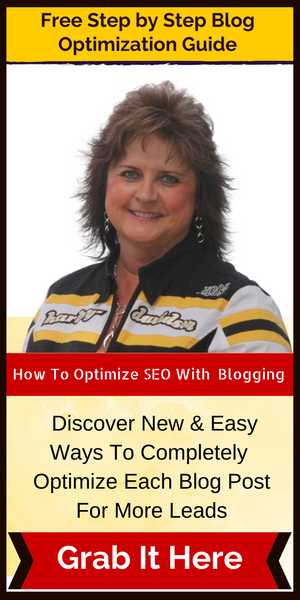 I also highly recommend adding an image of yourself and your website name to your images as it brands you. People will get use to you posting this image before you go live and will look for it as their sign you will be going live soon. Try to go live at the same time every day: If you still don't know how to decide what time that is; I suggest testing it out throughout your day as to when you get the most people joining you live. Once you determine what time it will be then be sure to let your viewers know you will be going live everyday or Monday through Friday at that time. Even weekend if you plan on doing it 7 days a week. You just need to make sure you are doing these consistent. Have a Catchy Title: Use emoji's in your title to make it stand out. Using a catchy title that will make them want to know the results or find out the answer if you leave your title open to interpretation. It could even be a question that relates to the content of your FB Live. Plan out your Content: Before you even go live, you should know what you are going to talk about and you should know what kind of CTA (Call to Action) you are going to give your audience. Having this planned out will make your FB Lives flow more smoothly and also have it all related. Share your expertise by being organized. 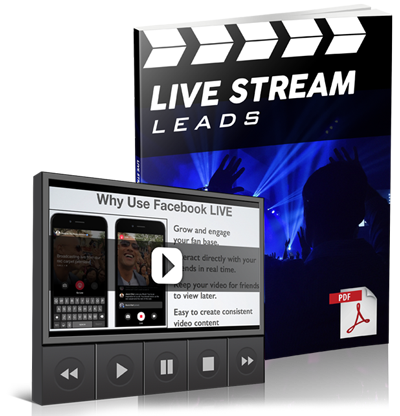 Get more viewers: Share to FB groups while your doing your live. (This one I find hard to do because I don't want my audience waiting for me while I do this) In part two you will learn a better strategy in doing this. Engage with your Audience: You want your audience to be involved in your FB lives and you can do that a few different ways. During your live, ask questions of your audience and get them participating by asking them to comment a 1 if they do what you are talking about or a 2 if they do something else. (Call to comment is what this is). You could even have them post emoji's for your call to comment which are a fun thing to do. You can also ask them to ask questions or even post a comment as to what they would like you to do a FB Live about some other time. Think outside the box as to different ways to engage your audience. It makes it more fun for them. Introduce Yourself: Most people will know you but you never know when you acquire new people or even a new audience on the replays. So introducing yourself along with your website name will add another way for them to check you out. You can also add where you are doing your FB live from. Grab People's Attention: Do this by asking them a question right when you start your FB Live. The questions should be something they are struggling with or a pain they are dealing with. When you do this, your content that you talk about should be giving them the answer to the question you asked. Ask for a Share: Ask people that are watching your live, midway through your live to share your video if they are getting value from it. Only do this after you have already given then value and not at the beginning so they know if other's would enjoy your content. You could say something like: If you know anyone that will benefit from this information, please share or tag some of your friends that would appreciate this information. Call to Action (CTA): You always want to have a call to action because people need to be directed as to what to do next. If you don't have a CTA you will lose them right after your FB Live. 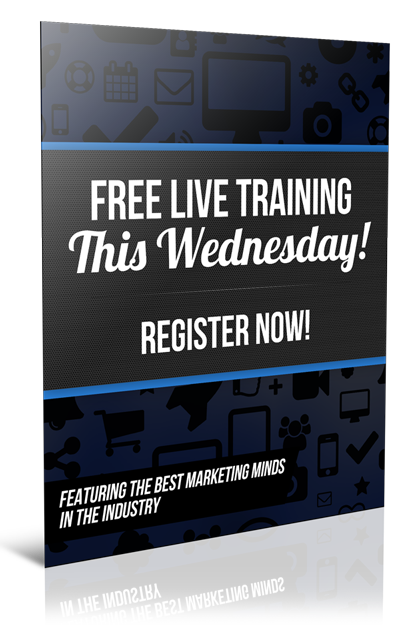 CTA's could be a training, webinar invite, free PDF, eBook, webinar replay, video, your webinar, your presentation, another FB Live or even to your products. Be sure you never add your CTA link prior to going live. FB won't share your video as much as they would when you don't have a link. Always add my link after I have posted my FB Live. Inform your viewers where to find the CTA Link: Be sure to let your viewers know that you will be posting your link to (whatever it will be) after you post the video. Ask them to come back after it's posted to get the link. Go Back and Comment on Your Comments: Once you post your FB Live be sure to go and like and comment on all the comments you receive. I suggest dripping these comments so that your FB Live stays in the news feed. If you do it all at once, your FB live will disappear and be gone for good. 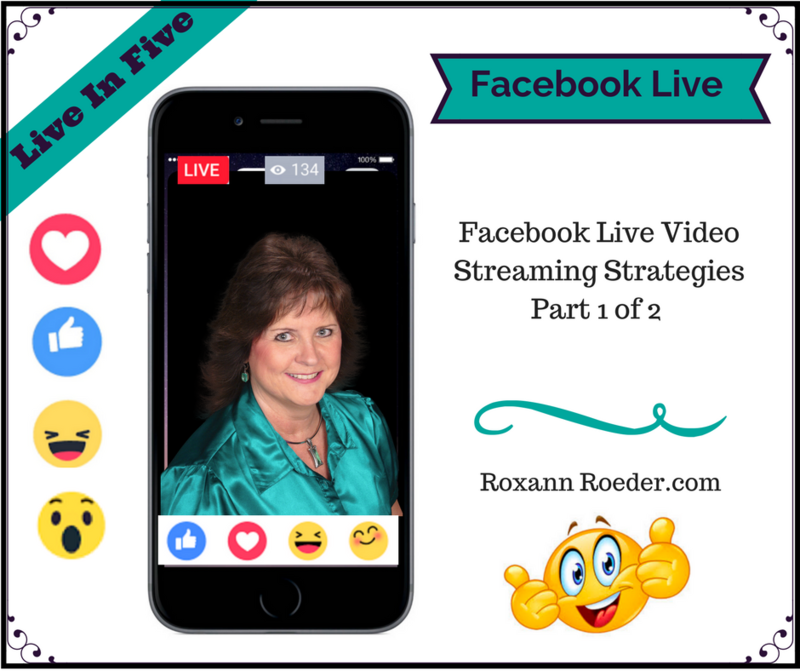 To help you out even more with Facebook Live Video Streaming Strategies…here is a free FB live training that will give you more ideas. Stay tuned for Part 2! and really easy to do. Stay tuned for Part 2 to help you out even more. 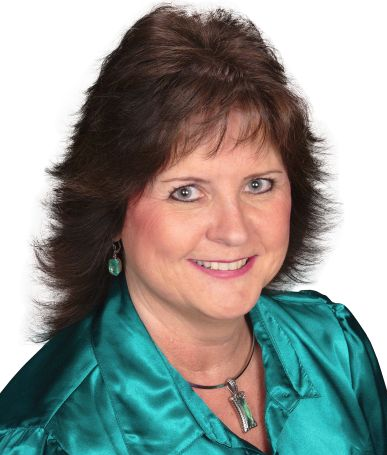 Thanks for these awesome tips Roxann! 🙂 Love your live videos! Thank you so much…glad you enjoy them! These are great tips. I like the first one best. Something a simple as posting an eye catching picture with 30 minute heads up would bring in a lot more viewers. Thanks for sharing. Yes it does make a difference posting an image saying your going live!